Jorge and Edie, The Salsa FREAK!! join forces once again to bring you their first Beginners Instructional DVD. 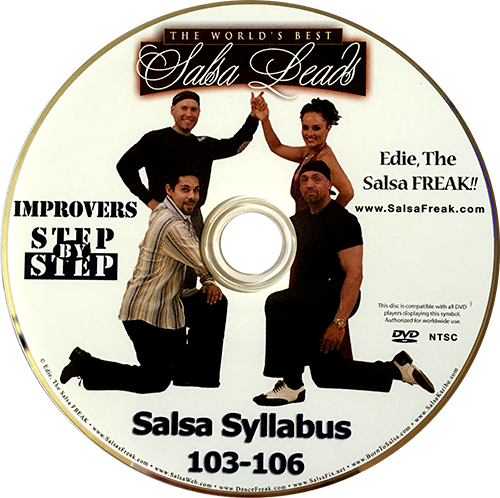 In this DVD, which is the first in a series of the”Best Leads in the World”, they combine their unique teaching systems to create a sound foundation for any aspiring LA Style Salsa student. 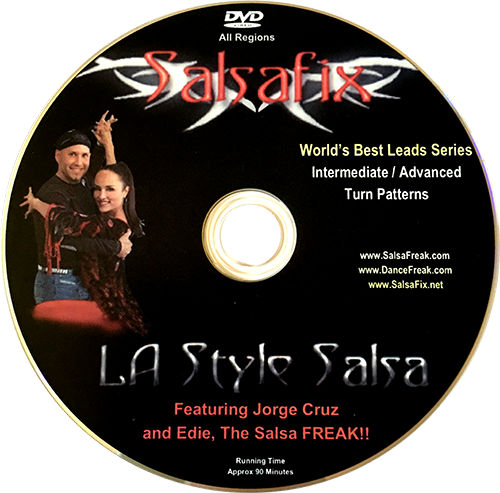 Beginner and advanced students, as well as Salsa Instructors can benefit from the sound techniques and fundamentals presented on this DVD. Salsa 103 thru 106 is a continuation of the College Curriculum course developed by one of the most sought-after Salsa Instructors in the world. This Syllabus is a result of over 12 years of research and refinement of Salsa moves and techniques used by some of the world’s best social Salsa dancers. Internationally acclaimed and Lifetime Achievement Award Winner, Edie, The Salsa FREAK reveals her secrets to training budding Salseros to stardom in the dance world. Edie has devised a unique system of simplifying complex Salsa turn patterns into simple, easy-to-follow steps. Through a unique concept based on families of moves , her entire course focuses around the woman’s footwork. 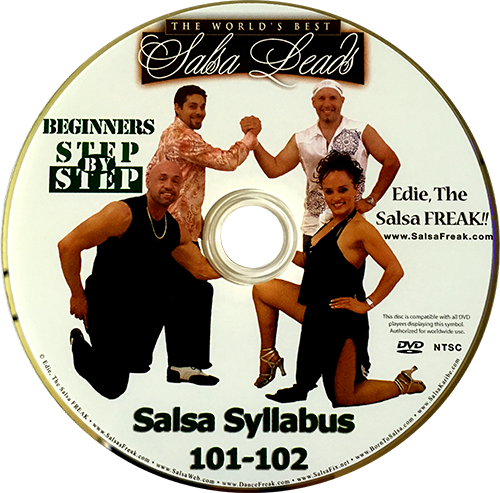 Edie simplifies Salsa dancing into grouping steps that are commonly used throughout the dance. Her unique method allows the leader to more easily remember moves without boring his partner. At the same time he will be learning a technically perfect lead. You will find yourself using this fantastic method of dancing Salsa comfortable and fun for generations to come!